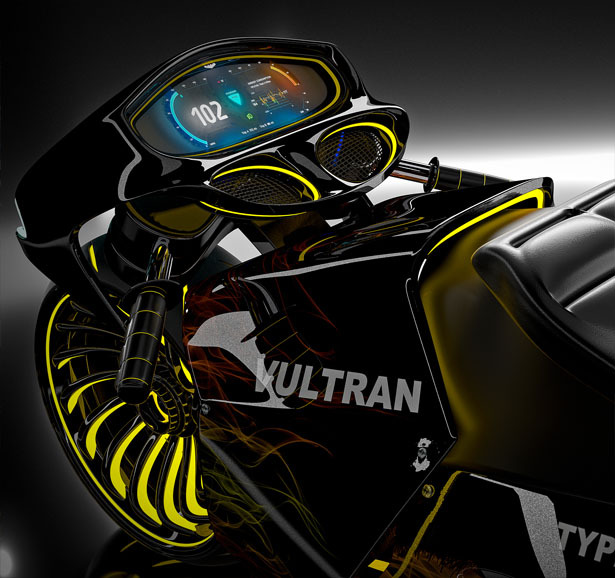 The Vultran Type 3 is an electric concept motorcycle that aims towards 3 simple principles: simple yet aggressive design, road performance and use of cutting edge technologies. 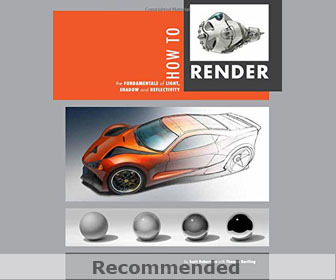 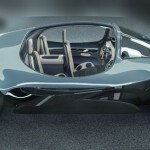 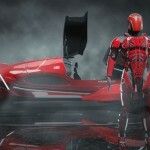 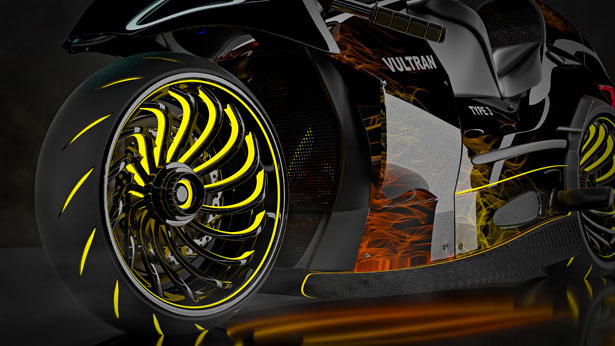 The design is inspired from auto brands such as Lamborghini and Porsche. 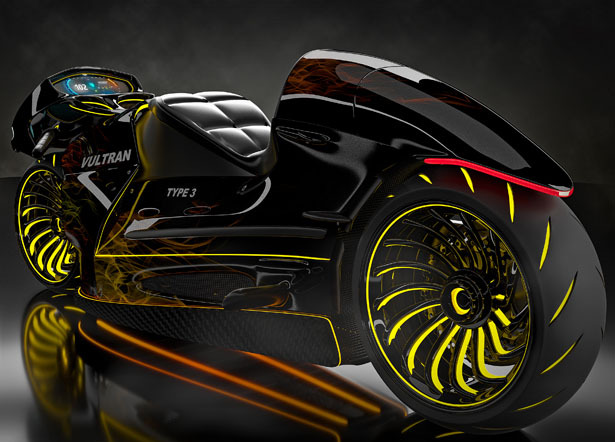 The body features carbon composite materials, the stylistic shaping of modern day hyper cars with distinctive LED accents. 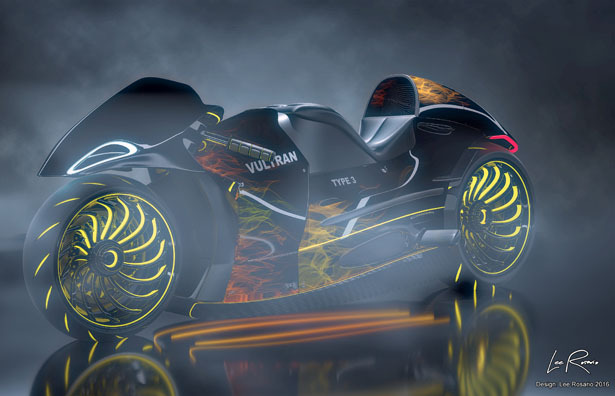 The traditional suspension/drive chain assembly is replaced by a right mounted assembly (front and rear tires), which is built from extremely durable, light and strong alloy composites. 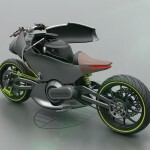 It houses the suspension and drive chain assembly (rear wheel). 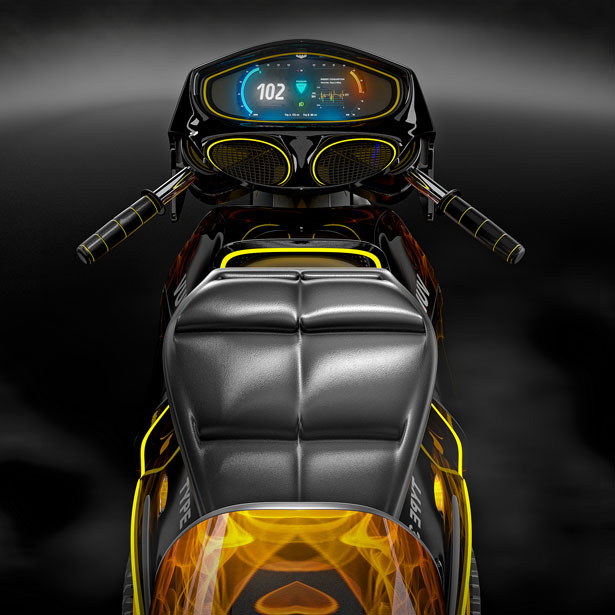 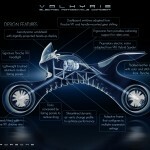 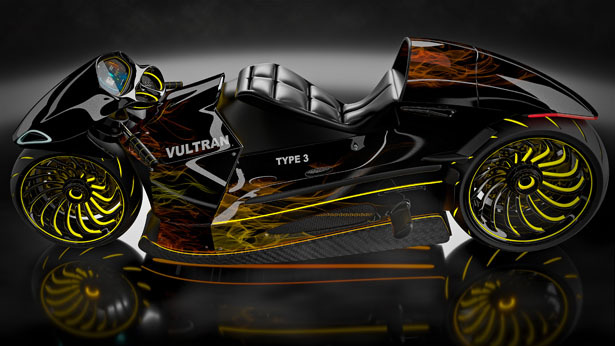 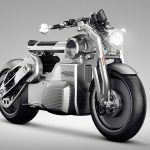 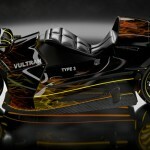 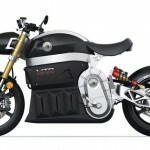 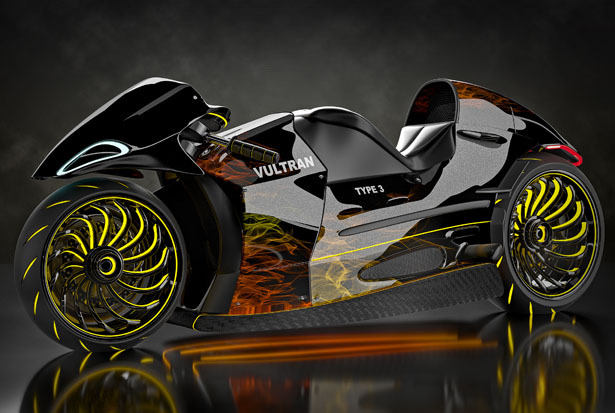 Tuvie has received “Vultran Type 3 Electric Motorcycle” project from our ‘Submit A Design‘ feature, where we welcome our readers to submit their design/concept for publication. 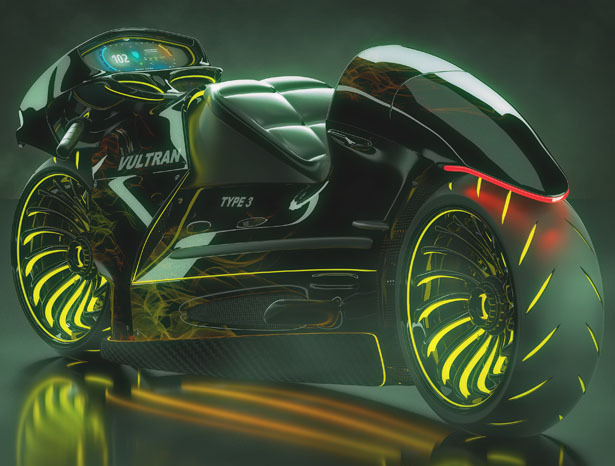 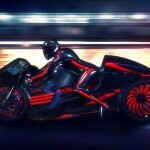 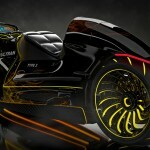 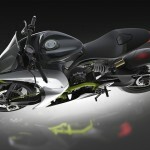 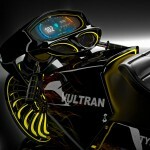 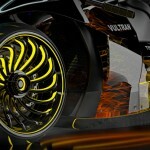 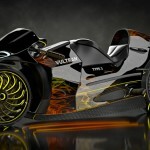 Tagged as futuristic motorcycle concept, lamborghini inspired motorcycle design, motorcycle design lover, porsche inspired motorcycle design, sports motorbike design.